Americans live longer today than we used to live, sometimes a lot longer. Just over 32,000 centenarians called the United States home in 1980. In 2010, we had more than 53,000 Americans in triple digits. This trend line — longer and longer lives for more and more people — has embedded itself into our popular culture. Sixty, we quip, has become the new forty. We are living longer than our parents, our kids will live longer than us. We celebrate this march of progress. We take it for granted. Amid the celebrating, to be sure, we have had some voices urging caution. Yes, these voices note, Americans are living longer. But people elsewhere in the developed nations are living significantly longer than Americans. Epidemiologists — scientists who study the health of populations — have been tracking these differing national longevity patterns for several decades now. And they’ve been linking the differences, in study after study, to economic inequality. People who live in more equal countries, their research shows, tend to live longer than people who live in societies that have become more unequal. This insight hasn’t yet worked its way into our public consciousness, for an understandable reason. We don’t, after all, typically compare the length of our lifespans to the length of lifespans in other countries. We compare ourselves to our parents and grandparents. They didn’t live as long as we’re living. So why worry about such complexities as inequality and longevity when everybody around us is living longer? Why worry? Newly released research from Angus Deaton, the latest Nobel Prize winner in economics, and his Princeton colleague Anne Case suggests a reason why some serious worry may now be in order. In the United States, everybody around us is no longer living longer. To be more specific, white men at midlife — 45- to 54-year-olds — are now dying at an earlier age. Their death rates, Case and Deaton show in their new National Academy of Sciences study, have been rising since 1999. American white men at midlife — 45- to 54-year-olds — are now dying at an earlier age. How much of a difference has this rising death rate made? If these white men had spent the last dozen years dying at the 1998 death rate, nearly 100,000 more of them would still be alive today. And if the white midlife death rate had kept declining after 1999 at the same pace this rate declined between 1978 and 1998, almost 500,000 more white Americans would still be alive and kicking. No other developed nation, the new Princeton research makes clear, shows this same startling about-face in midlife longevity. Forty- and fifty-somethings elsewhere are continuing to live at least a little longer every year. So what’s going on here? Why are middle-aged white men in the United States now living shorter lives? Plenty of pundits are currently contemplating that question, and their interest should come as no surprise. The new stats of American midlife mortality challenge a hefty chunk of what we Americans hold dear. How could we be “exceptional” if we’re dying sooner? Something must have gone terribly wrong. But what? 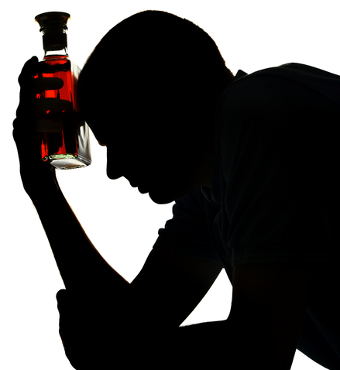 Why do we now see in America so much “midlife distress,” the tag that researchers Case and Deaton place on the rising incidence among middle-aged whites of “drug and alcohol poisonings, suicide, and chronic liver diseases and cirrhosis”? Has the widespread availability of painkillers since the 1990s turned midlifers into self-destructive addicts? New Jersey governor and White House hopeful Chris Christie intimates as much in his viral video on the tragic addiction death of one of his prominent and successful law school buddies. Why do we now see in America so much midlife distress? Painkillers, Case and Deaton acknowledge, can cause long-term damage. But we need, they add, to keep in mind the “epidemic of pain” that the painkillers “were designed to treat.” What produced that epidemic? But Krugman backs away from this economic distress as an explanation for shrinking midlife lifespans. He ends us sharing the same uncertainty that seems to be bedeviling Case and Deaton. The entire matter, echoes New Yorker columnist John Cassidy, amounts to a “big puzzle.” We may be tempted, Cassidy writes, to see “soaring rates of drug and alcohol abuse” among midlife whites with modest educations “as a response to heightened economic insecurity and frustration.” But we need to resist the temptation. We’ve experienced wage stagnation for decades, Cassidy goes on to argue. So why did the death rate among white working class men only start to rise in the late 1990s, “a period of growth and prosperity”? Inequality poisons our lives, over time, through subtle pathways. Questions like this reveal a real confusion over the impact of economic inequality on health. We can’t reduce that impact to a particular year’s jobless rate. Inequality poisons our lives, over time, through much more subtle pathways, as social scientists who study inequality constantly endeavor to remind us. Earlier this week, I asked one of the most eminent of those social scientists, the UK’s Richard Wilkinson, for his take on the new data from Case and Deaton. A half dozen years ago, Wilkinson and Kate Pickett co-authored what has become the most influential global synthesis on the impact of inequality on how and how long we live, The Spirit Level: Why Greater Equality Makes Us Stronger. The drivers for the rising midlife death rates that Case and Deaton have identified, Wilkinson notes, all clearly involve “psychosocial” processes. You don’t overdose on drugs or get cirrhosis of the liver by catching some virus. Tragedies and ailments like these result from long-term stress, from the strains that start to multiply whenever people find their societies becoming more unequal. Still, as Wilkinson points out from his Yorkshire office, we may be doing Case and Deaton a disservice if we focus our discussion on their work too single-mindedly on the midlife decline in lifespan. The pain that the pair have found appears to be much more than a generational phenomenon. All adult white age groups show markedly higher death rates from poisoning, suicide, chronic liver disease, and cirrhosis. Among 45-to-54 year-olds, Wilkinson relates, these conditions have begun to outweigh improvements against other causes of death. Fewer midlife white Americans, in other words, are dying from lung cancer and heart disease, but overdosings on drugs and alcohol have canceled out the impact of these advances. We haven’t seen a similar canceling out among Americans in other age groups. Not yet at least. But we may. Midlife white Americans may turn out to be our 21st-century “canaries in the coal mine.” Years ago, canaries served as mine shaft warning alarms. If they collapsed in their cages and died, miners knew that their coal-mine air was turning dangerously unsafe. The declining lifespans of midlife white Americans may be sending a similar alarm — about the sickeningly dangerous level of our contemporary inequality. Up until now, Wilkinson explains, health has been improving overall “even when inequality has increased.” Our health just improves less, amid greater inequality, than it would have without that inequality. But the new data on midlife white Americans that Case and Deaton have presented may well indicate that inequality as staggeringly deep as America’s might actually be powerful enough to more than offset all improvement — and send the length of our lifespans into heartbreaking reverse.